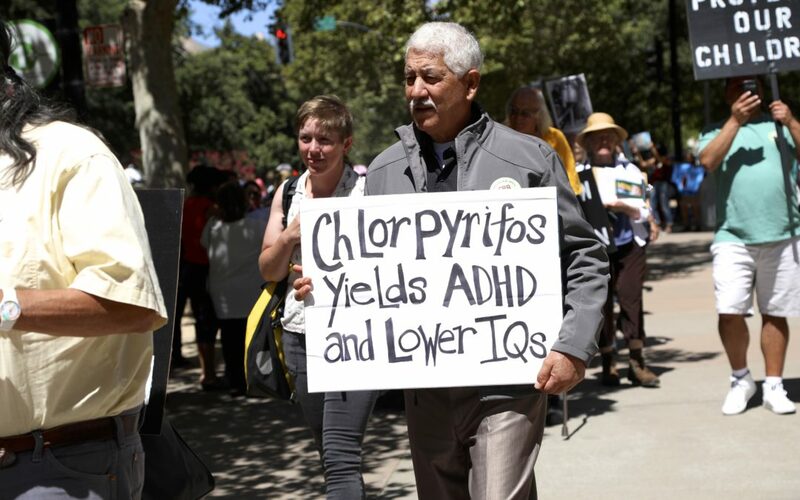 Chlorpyrifos is a neurotoxic organophosphate (OP) insecticide used in the production of fruits and vegetables throughout the U.S.
Because of research showing direct impacts on children’s health, chlorpyrifos was banned for indoor home use in 2001. However, the U.S. Environmental Protection Agency (EPA) has continued to allow its use in agricultural fields, with more than a million pounds applied annually in California. We’re calling on California to ban this highly hazardous pesticide, and to help farmers transition to safer alternatives. Read about alternatives to chlorpyrifos here. Published by CPR Steering Committee member Pesticide Action Network North America.